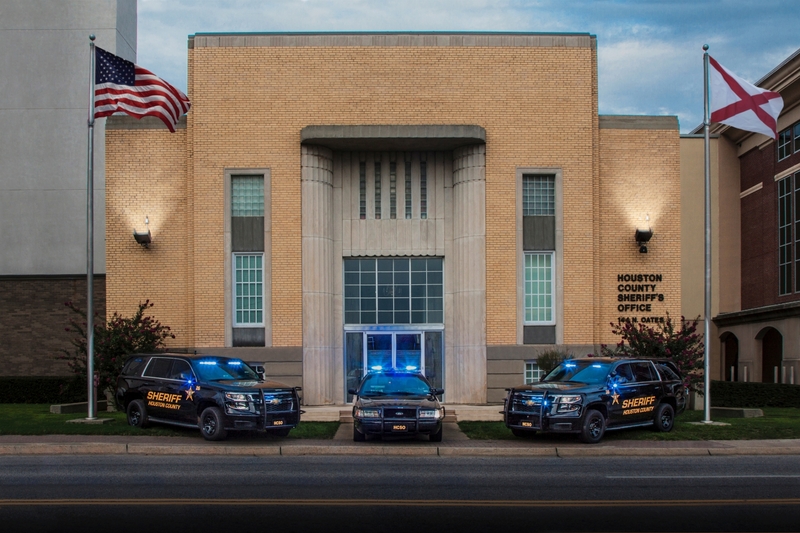 The Houston County Sheriff's Office is located in Dothan, Alabama and is led by Sheriff Donald Valenza. The Sheriff's Office is tasked with covering 587 square miles with approximately 102,369 residents. Our Deputies are proud to meet that challenge daily. Get yours at no cost at Signs Etcetera Inc., 1807 Miskell Dr., Dothan. The mission of the HCSO is to prevent crime, enforce the law, and support quality public safety by delivering respectful, professional and dependable law enforcement services. Preventing crime includes everything from strengthening neighborhoods and families to using crime data to identify patterns and suspects. Enforcing the law includes not just the measures of arrest and warnings but also educating members of the public about their responsibilities. Supporting quality public service means being a full partner with other parts of the criminal justice system and assisting witnesses and crime victims throughout the process. Delivering respectful law enforcement services means treating people the way you want to be treated. Professionalism is our hallmark and it means knowledgeable, competent, and ethical policing. Dependable means that we keep our promises and serve with courage and dedication. Arrest information posted cites charges and bonds established at the time of arrest. Persons arrested and processed at the Houston County Jail are given the opportunity to have their case heard as a person standing before the court, innocent until proven guilty.